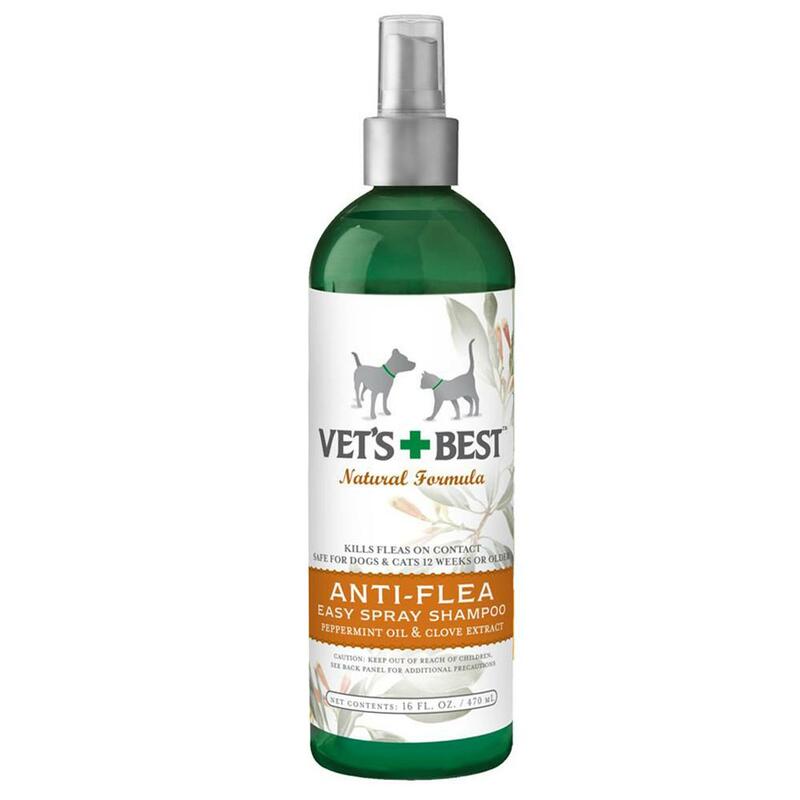 Vet's Best has done it again with a fantastic natural product that WORKS! 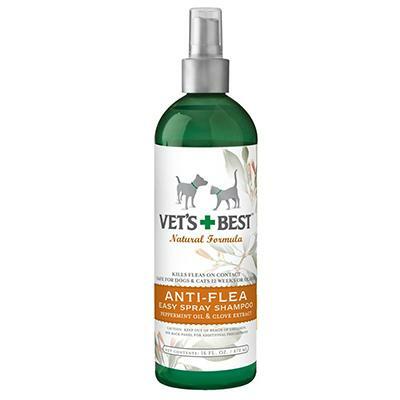 This unique blend of Peppermint and Clove oils was formulated to kill fleas safely. Product is safe for dogs & cats, 12 weeks or older. For puppies and kittens, body temperature must be maintained. Spray our unique product over the entire pet's coat. (No need to wet the coat with water prior to application.) Massage thoroughly into pet's coat. As you massage, you will notice a soothing lather begin to form. Be sure to treat entire pet, including hard-to-reach areas, such as between paws. Avoid contact with eyes, mouth and nose. For best results, let stand or continue to massage for 5-10 minutes. Apply small amount of water and lather again. Rinse thoroughly. Dry with towel. Pets love it! Repeat as necessary.